Exploring the dark side of Hollywood, I take you on a journey. This debut is episode 1 of my series “Goth Hollywood”. 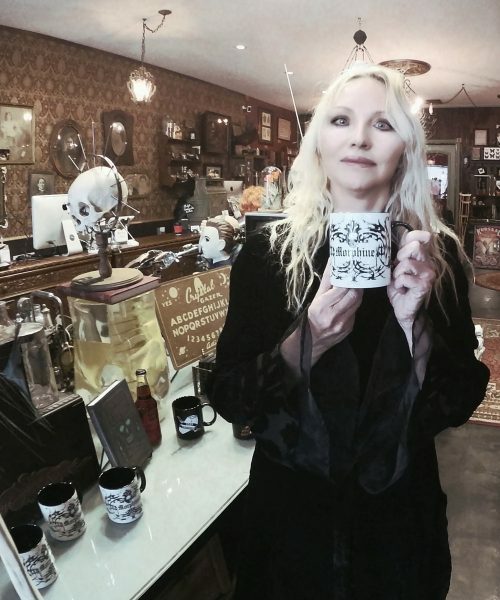 Highlighting “The Bearded Lady and Mystic Museum”, this episode is split into 3 short videos including the interview of Akiko Bailey, co-founder of the Burbank location. I also added a tour through the store highlighting some select merchandise and a stroll through the museum. Lastly a peek on the store bookshelf gives way to some interesting reads. 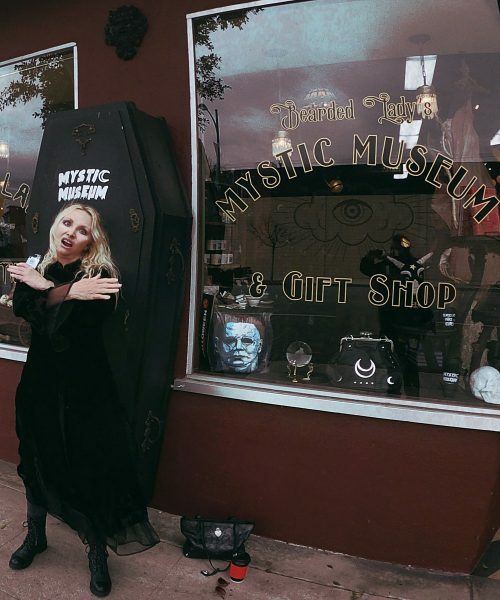 This program is curated for the Goth community to enjoy and assist in any travel plans related to visiting the Entertainment Capital of the World. As DarkestGoth spokesmodel, I have the privilege of playing tour guide to my local environment and give you readers the opportunity to explore this region of the universe while perhaps sparking some interest in your hopes of visiting the spooky parts of Tinsel town. As dusk approaches the painted misted sky, the ancient mystical keepers of hidden knowledge transcend the veil. Contrary to legendary belief, while shape-shifting into materialization, a mirror of reflection appears yet remains mysteriously cloaked. In outward appearance of tangible flesh and blood, these ethereal beings appear to be directed by the standard natural laws of the universe, yet they are shed of earthbound shackles. With infinite freedom to move swiftly between inter-dimensional worlds, they remain invisible, only to be recognized by a fellow master crafter. Together in alliance they arrive to rock your world!